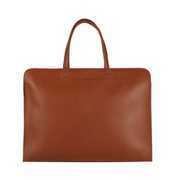 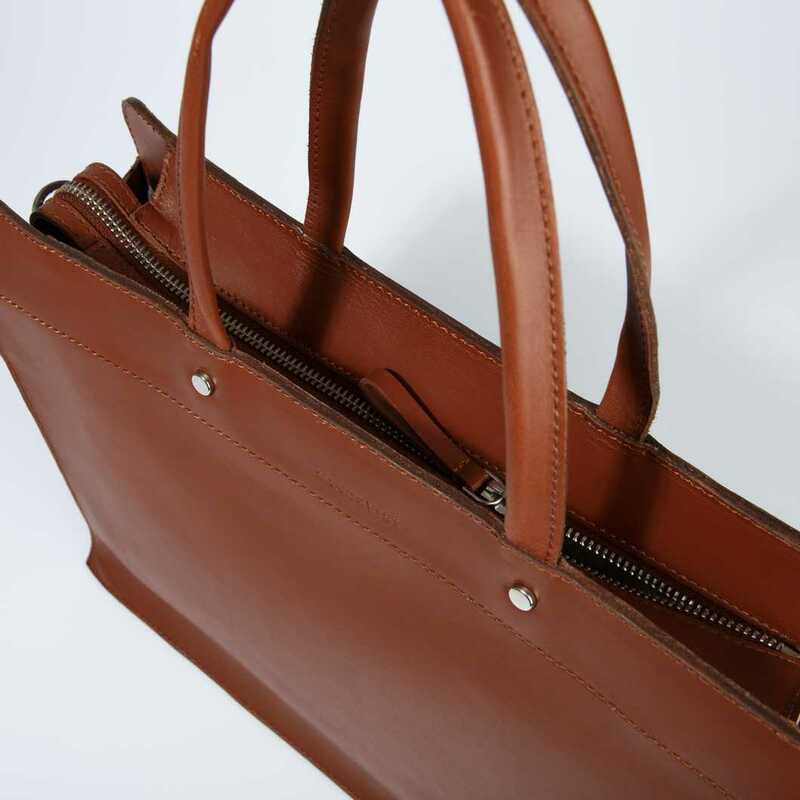 Classic hand bag sealed with a hidden YKK metal zipper. 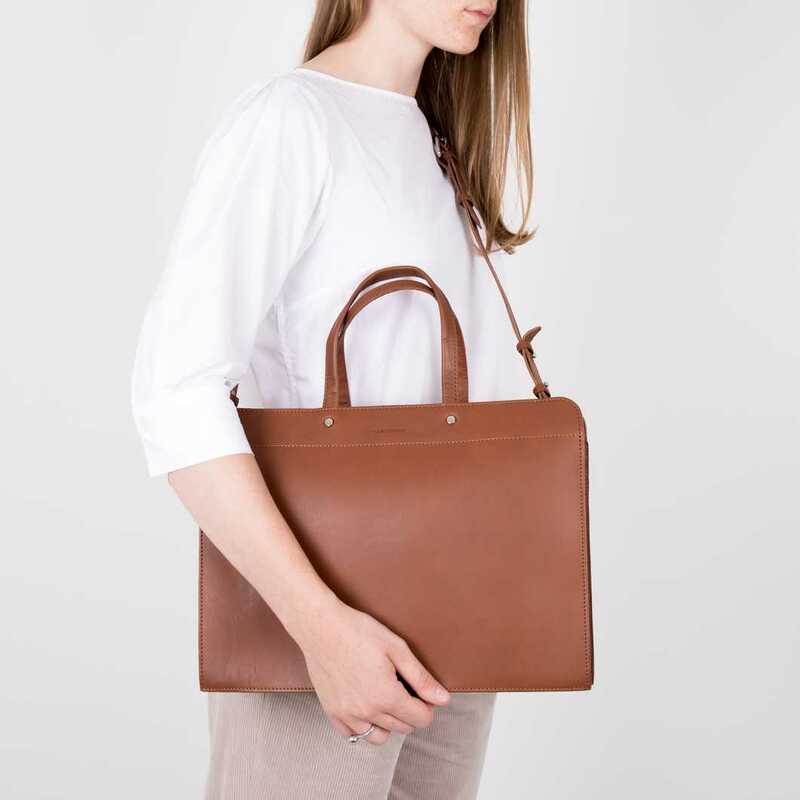 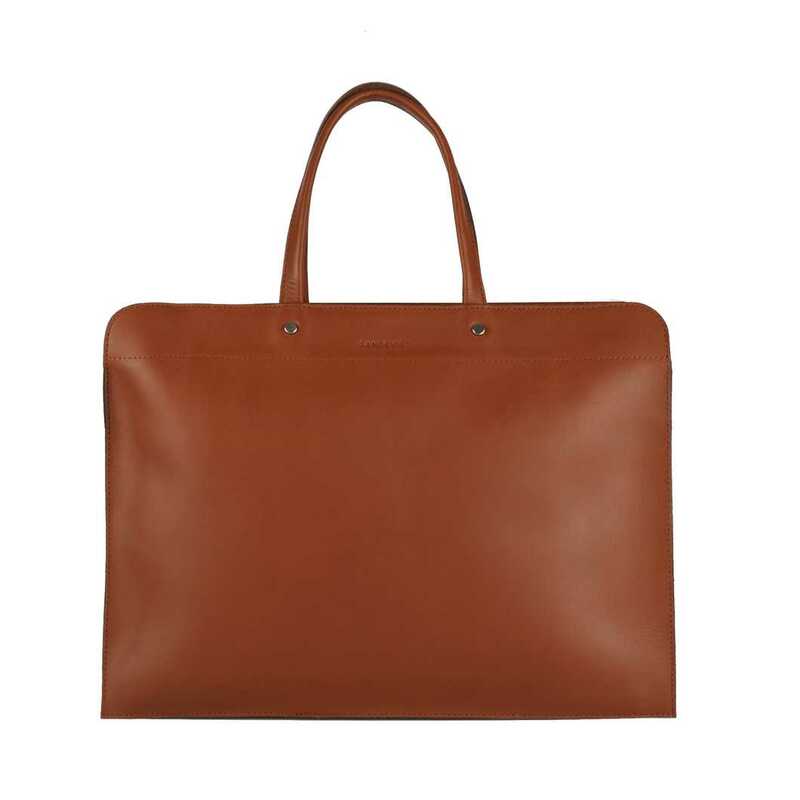 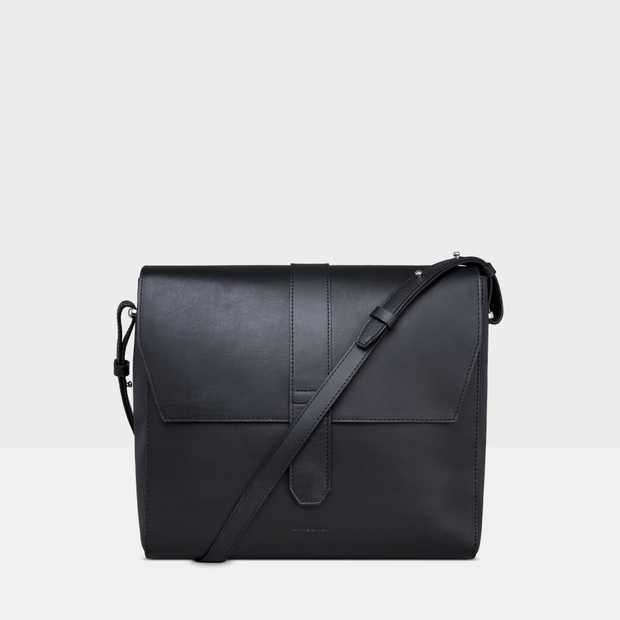 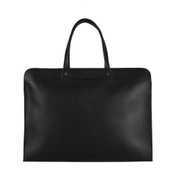 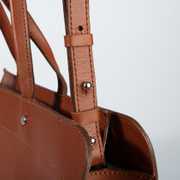 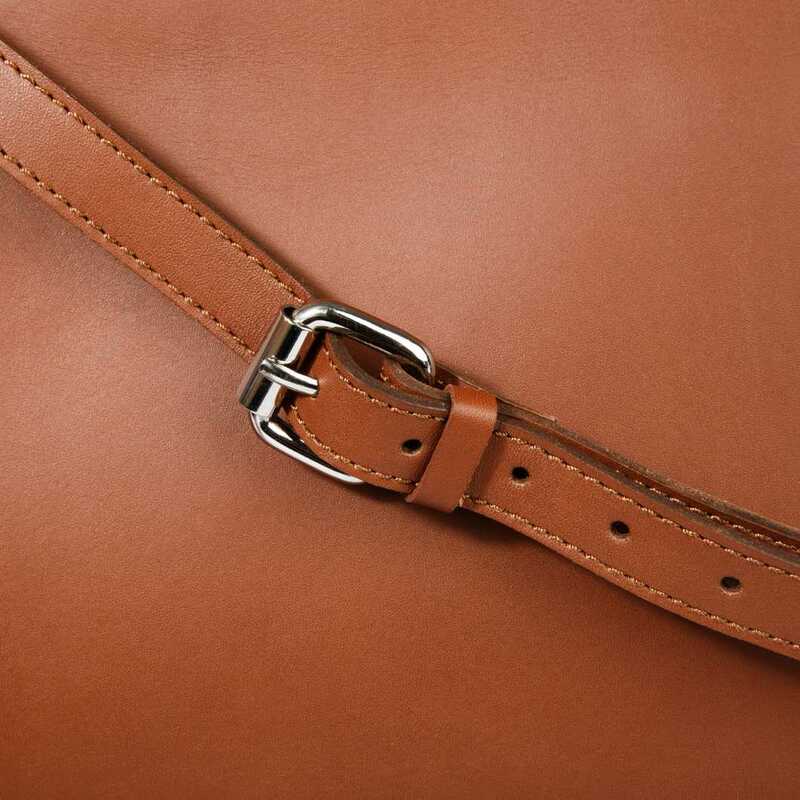 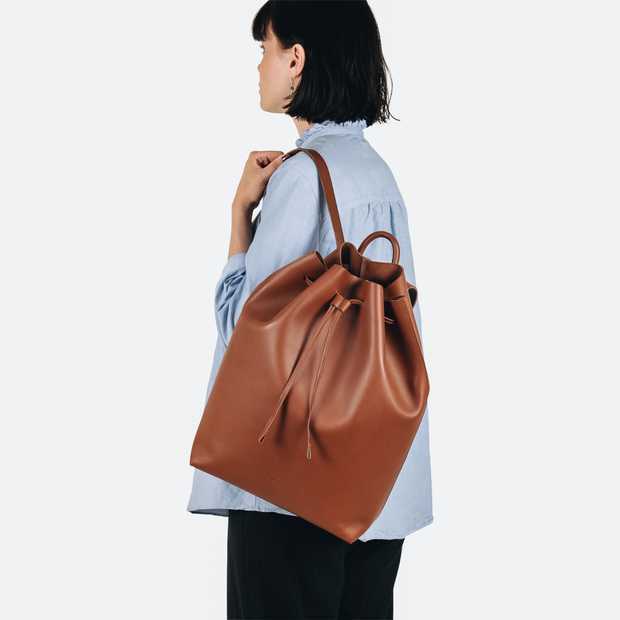 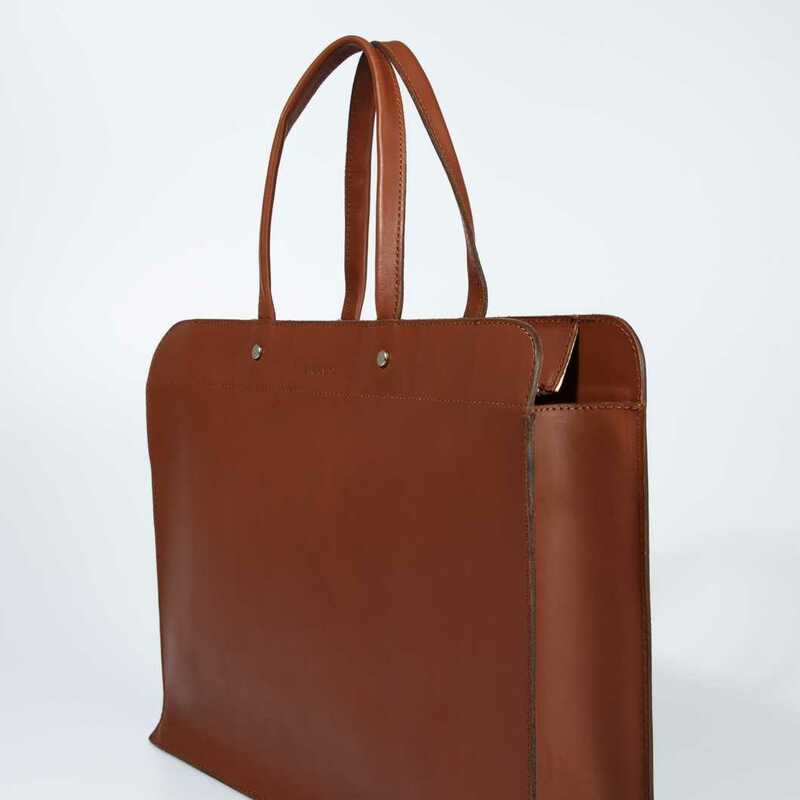 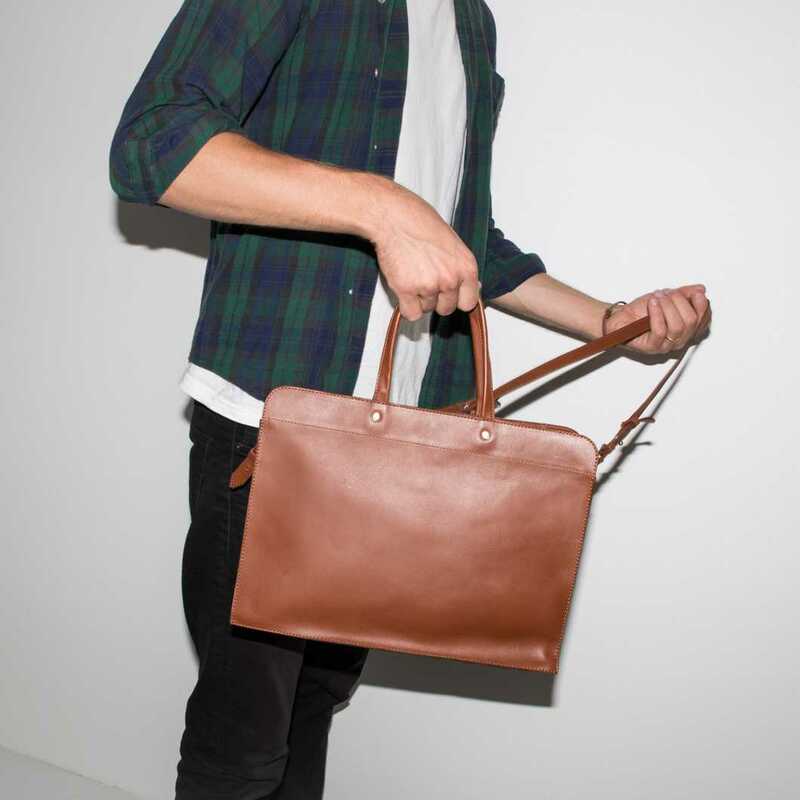 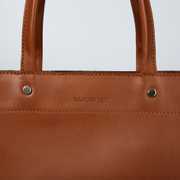 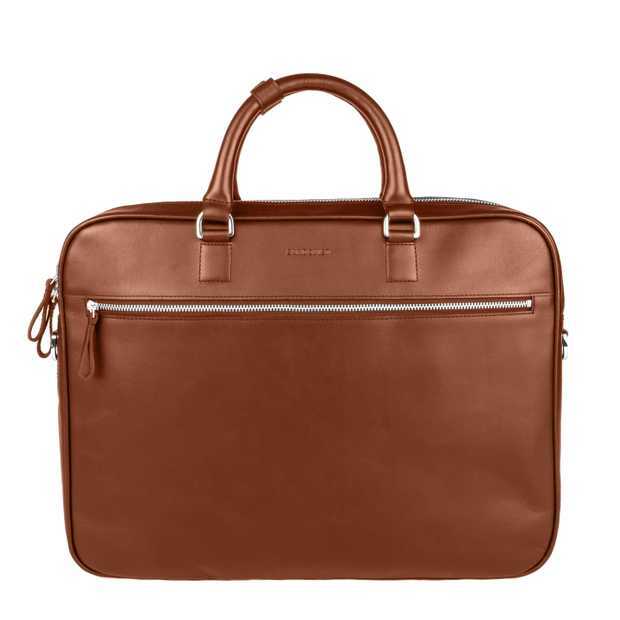 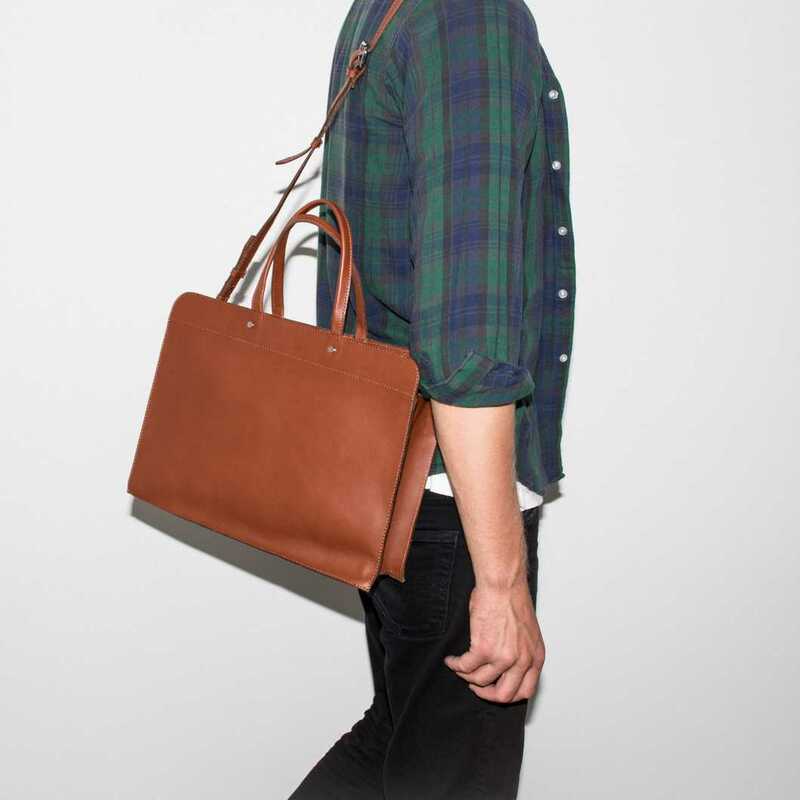 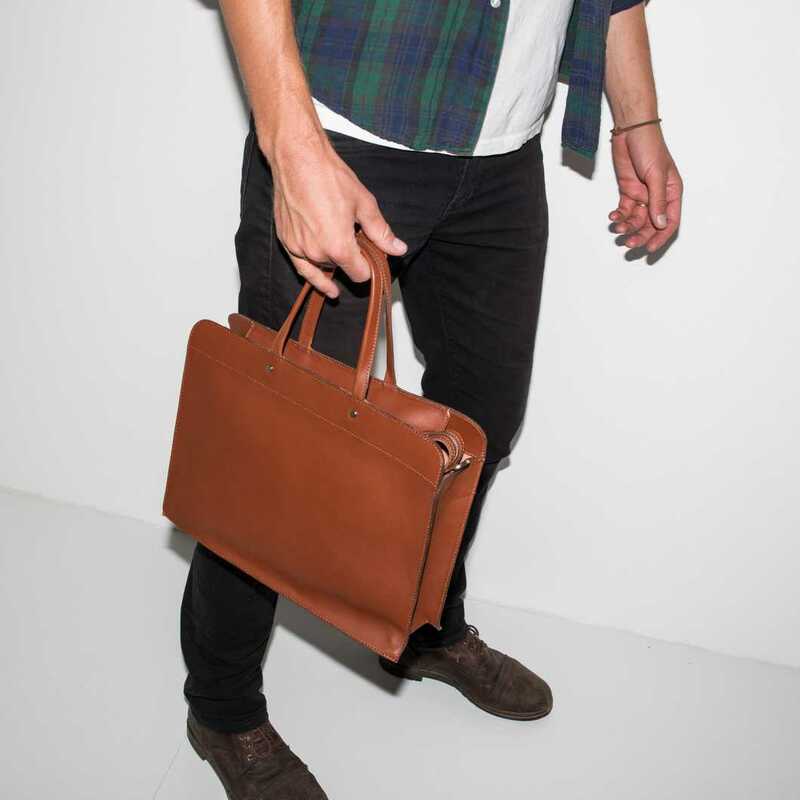 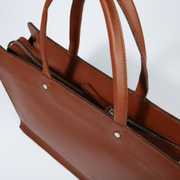 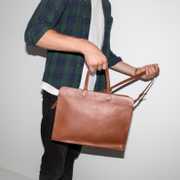 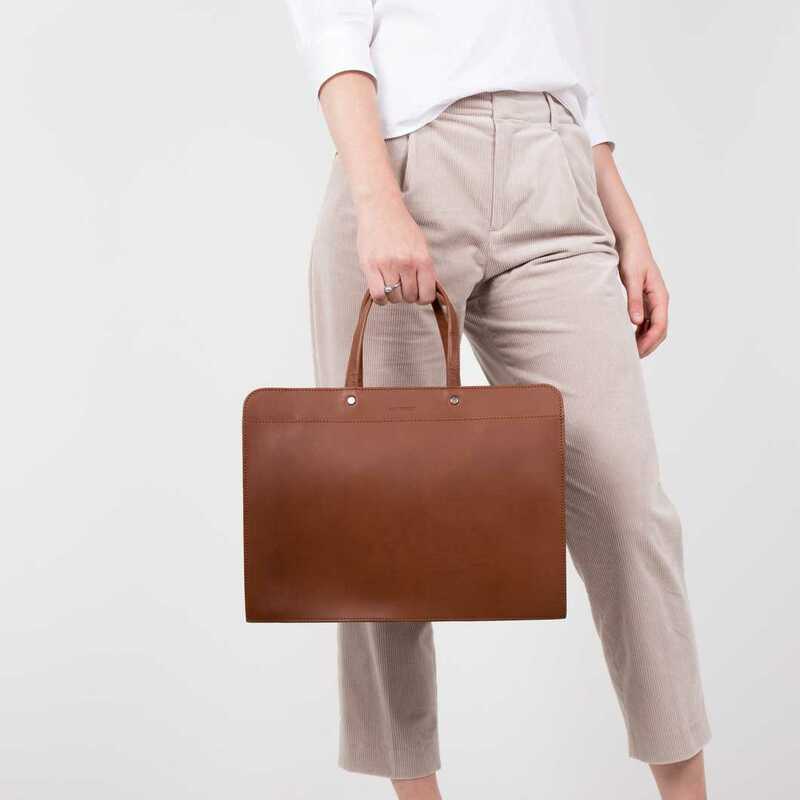 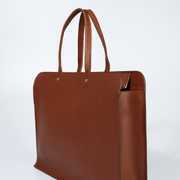 The shoulder strap is removable, enabling the bag to double as a briefcase. 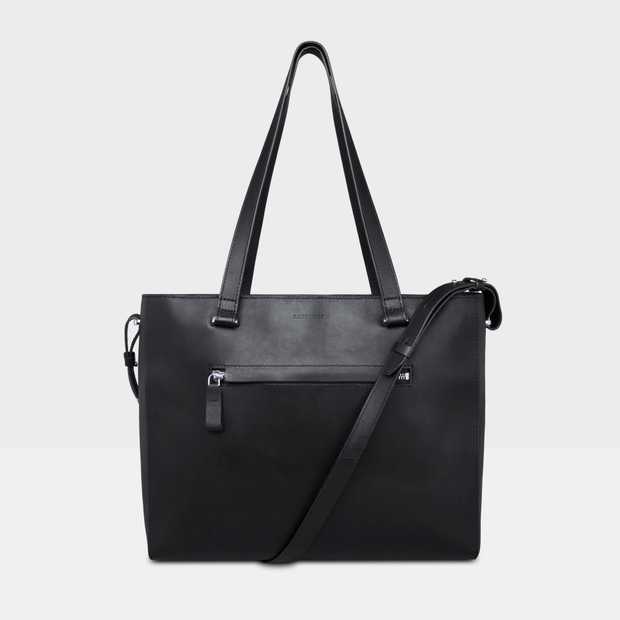 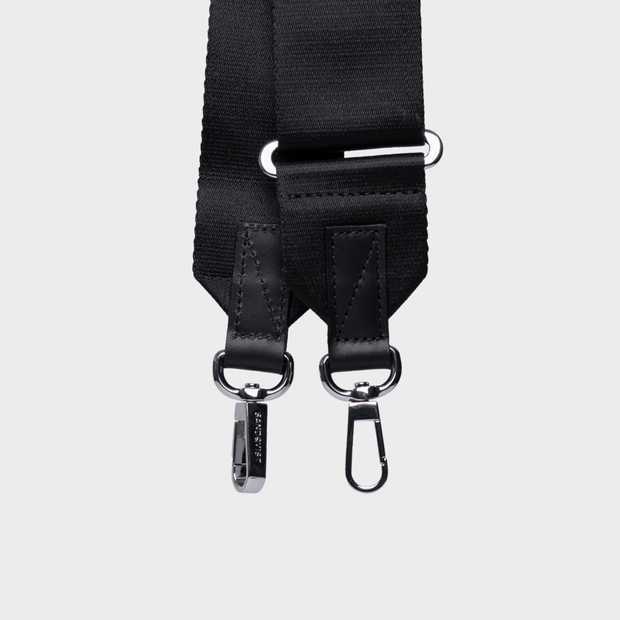 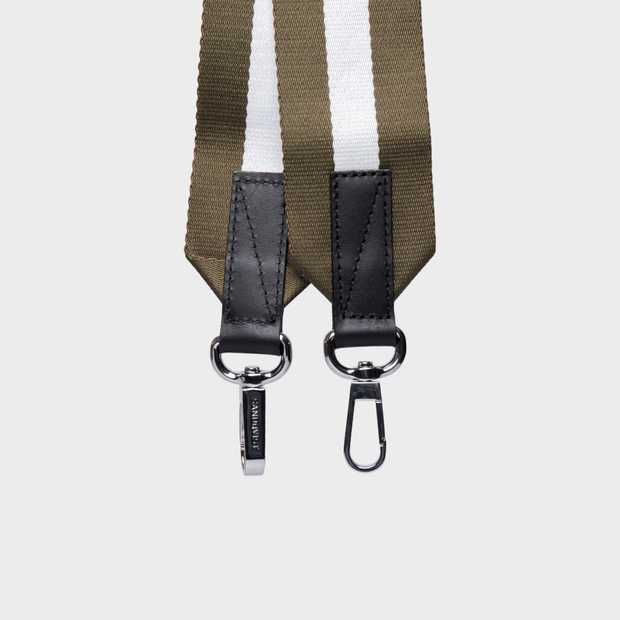 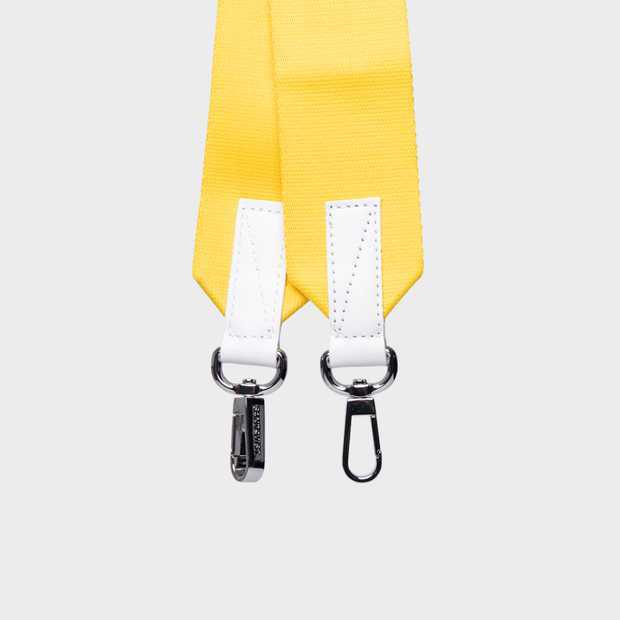 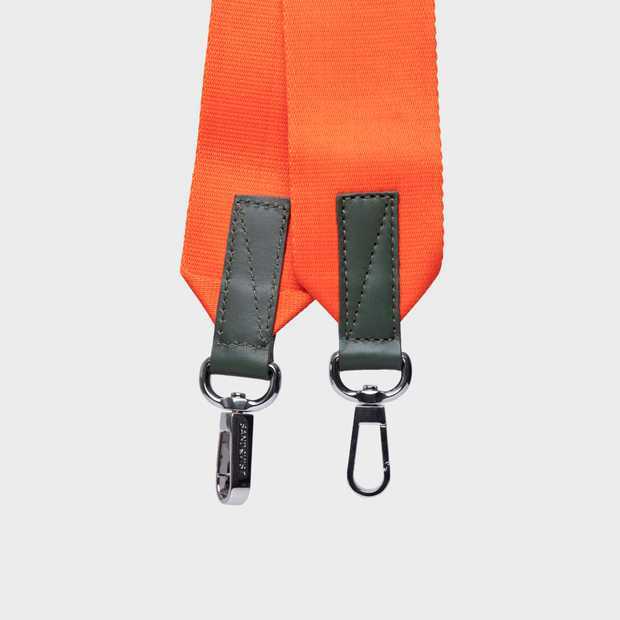 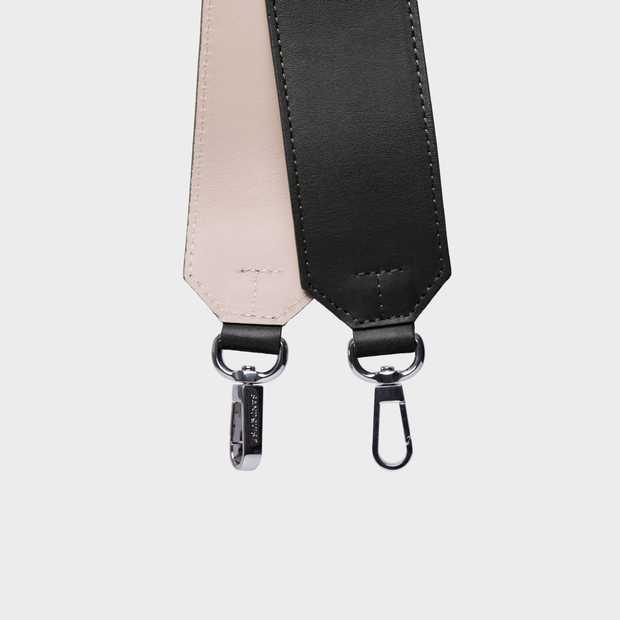 Inside features such as an inner 13" laptop slip and zipper pocket will help keep your things organized, while a removable lanyard will help you keep track of your keys. 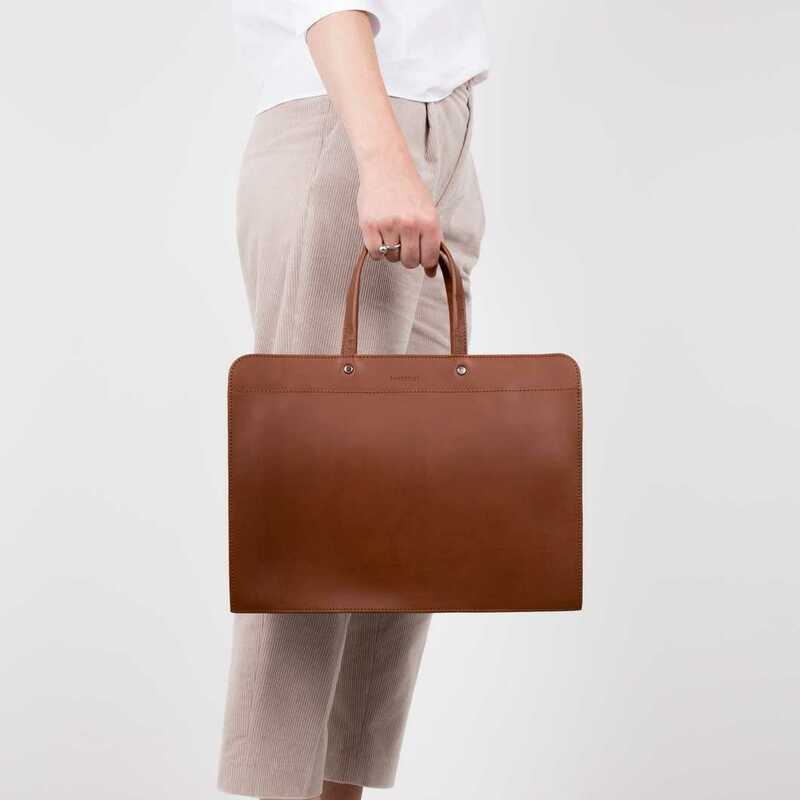 The sophisticated and clean design is compatible with your most elegant outfit. 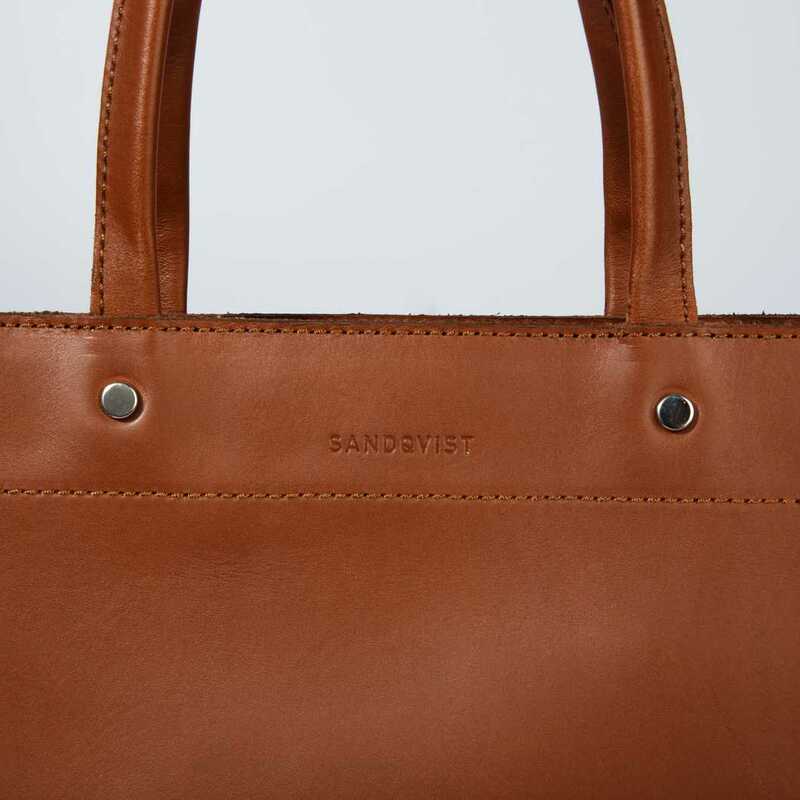 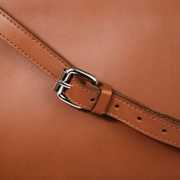 Made in full grain vegetable tanned leather with silver metal fittings, STINA is a modern classic that will age beautifully over time. Measurements Laptop sleeve: fits most 13" laptops - W 36 x H 21 x D 2 cm.